Let’s admit it: collaborating with fellow educators can be a rewarding experience. After attending conferences or participating in professional learning communities, we are excited about sharing new titles, the latest tech tools, and/or trends in social emotional teaching and learning. Needless to say, collaboration is not always an easy task. In our role as school librarians we fully understand that being a classroom teacher in a data-driven, standardized test-obsessed world can be overwhelming and challenging. Sometimes collaboration becomes one more thing to do and one where our fellow colleagues ask themselves, “Is this really important?” “Where do we find the time?” and “How can we work together effectively?” These questions also lead to apprehension about how to utilize the skill set that we offer. Nevertheless these obstacles should not deter us from extending ourselves. 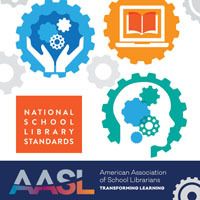 Our goal is to “Work effectively with others to broaden perspectives and work toward common goals” (AASL’s National School Library Standards, Collaborate Key Commitment). We begin by building relationships one person at a time. Although I have had the privilege of collaborating with many teachers, one of the more memorable partnerships was with a special needs teacher at one middle school during the beginning of my career. Our working relationship became my template on how to market the school library and what we offer as a resource to the school community. After one in-class visit, she and I talked extensively about her vision for the students. I listened and offered some suggestions on how we could team teach and incorporate the digital resources within the school library. For several weeks we emailed, chatted, and visited each other during lunch or our conference periods. Sometimes we talked about school, other times we talked about our personal lives. Eventually, we agreed to focus on how to teach and increase students’ oral and written communication skills. Because this was an alternative school with a focus on the performing and visual arts we ensured these skills were integrated into lessons as well. An additional challenge was the fact that the middle school’s school library was situated inside of the high school’s library, which was a five minute walk to and from the middle school. One could understand why the school library had not been frequently visited prior to my assignment, with a 42-minute time period for each class including teaching, scheduling, and collaborating with teachers. It needed someone willing to strongly advocate for the school library by working inside and outside of the space to promote its use. However, my colleague and I developed a unit whereby students visited the library for a double block period that extended the time from 42 minutes to 1 hour and 22 minutes. Earlier the special needs teacher expressed a strong interest in using technology to motivate her reluctant students to write more. 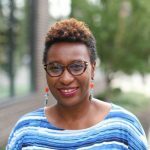 Because I was very familiar with blackboard technology via information technology courses for a certification program, I was excited about the possibility of using it with students. Additionally, writing in an online format would increase writing experiences, particularly if they had interesting themes to write about and share with classmates. This was my opportunity to make use of the skills and strategies I learned from my instructional collaboration course as well. Instantly I thought about alternative ways to communicate for planning instruction and assessment. Our personal relationship built trust and we became acquainted with one another’s working style, which is a best practice according to the National School Library Standards. 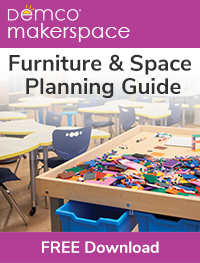 Together, we planned an ongoing unit that took place over the entire school year. We prepared students to create an electronic scrapbook /portfolio showcasing interesting trivia about themselves, academic goals, and creative writings with artwork and performances. It is clear that this collaboration with the special needs teacher had a tremendous impact on students because each student became excited about building a portfolio and adding important information about themselves. They shared this information with other students and their parents who commented about their increased confidence during parent-teacher conferences. This was especially true of those students who were not very verbal but expressed themselves quite well when writing. The success of this collaboration reinforced my belief that when we take the time and make the effort, strong relationships can be built. My first experiences with collaboration were significant because I believe the role of the school librarian as an instructional partner is one of the most underutilized within school buildings. However, this partnership with my colleague allowed me to co-plan and co-teach with an emphasis on new literacies. Of most significance was my yearning to introduce and teach students to how to effectively communicate via writing in a digital environment. They also needed to enhance their social literacy skills because learning appropriate social norms in a digital environment is just as important. 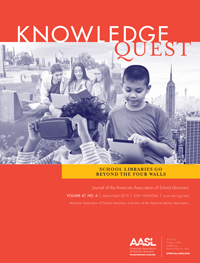 The fact that school librarians do not play a larger role in the academic success of students is alarming because together with fellow educators they can create effective lessons that yield creative deliveries and authentic student assessments. However, in large urban districts, middle school librarians service several buildings. It becomes increasingly difficult to provide the quality of service that every student deserves. For most staff and students, the role of the school librarian is strictly to teach lessons on fiction and the Dewey Decimal System and circulate books; less visibility equals less opportunity for collaboration, which therefore leads to less student achievement. Brilliant post, Chiquita! Yes! The school librarian’s instructional partnership role is a pathway to transforming teaching and learning in schools. Could not agree more Chiquita, well written. Do you have any more information on the unit of work you prepared?